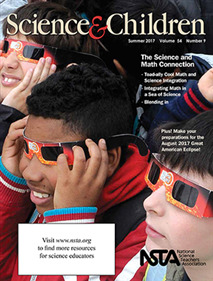 Using an adaptation activity to integrate math and science. I think then Blending idea is great. However, I thought the steps for students to follow was missing some key important details to help you follow the lesson. For example, the article starts talking about having groups counting 100 M&M's of the same color. However, the article does not clearly define what you have given the kids to count. Did you give them a bag of M&M's or previously sorted M&M's. These details would make the lesson easier to follow. I gave it 1 star because the article was hard to follow. I also gave it a star for being a good idea.